Available in Men's,Ladies and Kids. 310gm blended 80% cotton/20% polyester brushed inner. 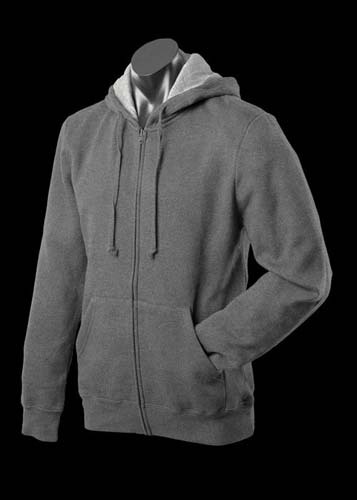 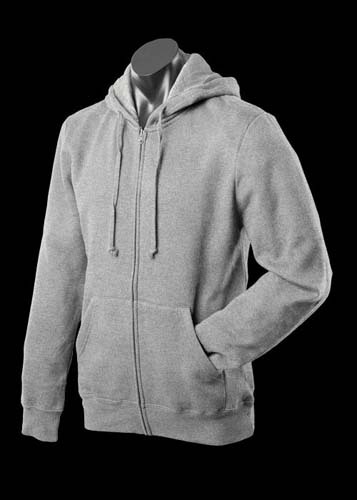 Jersey knit fleece knit, low pill contrast grey marle hood liner and flat tie cord.